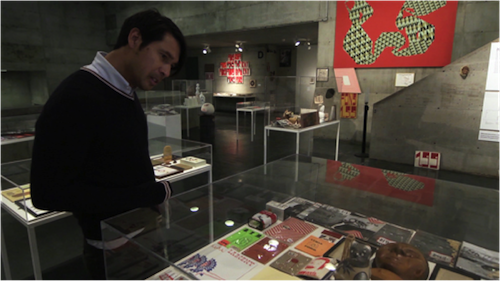 Barry McGee at the Berkeley Art Museum and Pacific Film Archive during his 2012 retrospective exhibition. Production still from the series Exclusive. © Art21, Inc. 2013. Cinematography by Bob Elfstrom.